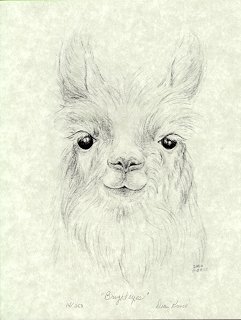 Laser prints of Dian Pierce's original pencil drawings, numbered and signed in pencil by the artist, are available in limited quantities.  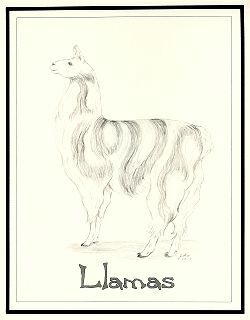 Printed on quality paper, they measure 8½" x 11" and come in a clear plastic sleeve. 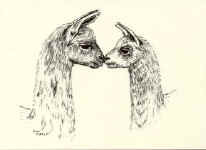 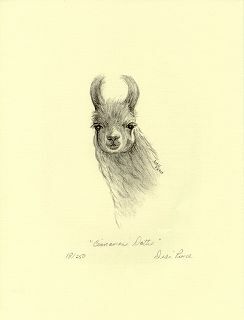 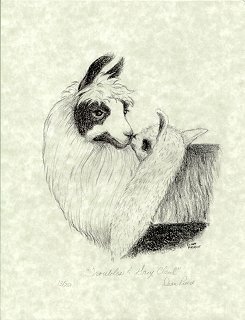 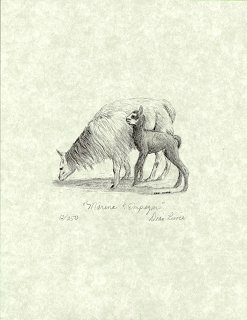 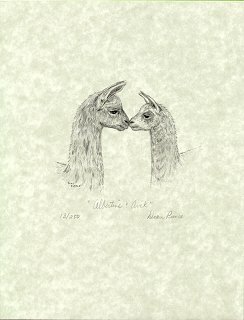 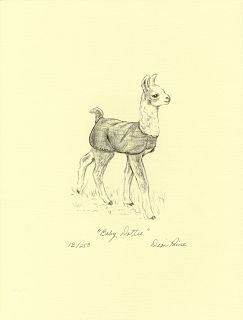 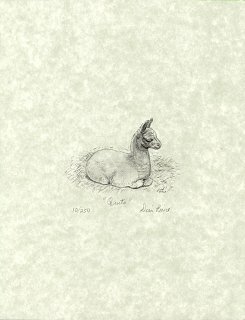 Suitable for framing, these drawings are truly beautiful llama art.